Talking Style With…. Britta Maxime! Woohoo, the beginning of a new series on Retro Sonja! For a while now, I’ve been wanting to do a series in which I interview fellow bloggers about style. And now it’s finally here! I decided to name it ‘Talking Style With…’ and the posts will be online every Saturday from now on! 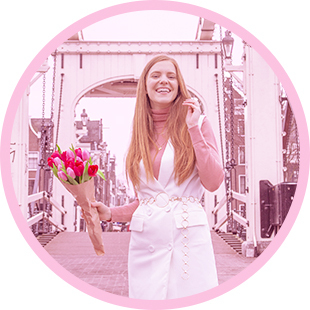 This week my first guest is Britt Vissers from the blog Britta Maxime! I know her from events, and she always has the biggest smile on her face. She’s super pretty and she also has a great versatile style! So, let’s get to know her! I would describe my style as minimalistic, girly/chic yet with a bit of a sturdy touch. One day I like to wear heels and a dress, while the other you’ll find me wearing my studded leather jacket and a pair of sneakers. Visitors can expect to find this style in different daily looks at all kind of places. I love to travel and I always try to shoot some looks wherever I go! Besides outfit posts, I also write about some of my trips and whatever’s on my mind in my “dandy diary”. On top of my wishlist is a classic Chanel bag in black and silver… Guess that’s the ultimate dream of a lot of women though. Especially a designer bag addict like me! Besides that I am currently saving up my money to buy a new camera. An investment which I think is really worth every penny, especially in the blogging world. My favorite “go-to” outfit must be a comfy sweater, pair of jeans, my Isabel Marant sneakers and Proenza Schouler bag. Add a leather jacket or comfy winter coat and you’re ready to leave the house! I guess my biggest fashion inspiration must be Lizzy van der Ligt. I really like both the way she dresses and how she is in person. Some months ago we have worked together on a fun project and I really admire her. The way she combines multiple prints and/or colors is something I could learn from. I tend to stay in my comfort zone sometimes and need to get out there a bit more! Dare a little, you only live once. That must absolutely be my studded leather biker jacket from Maison Scotch… I have bought it one year ago and still every time I wear it, I get compliments! Anita de Groot! 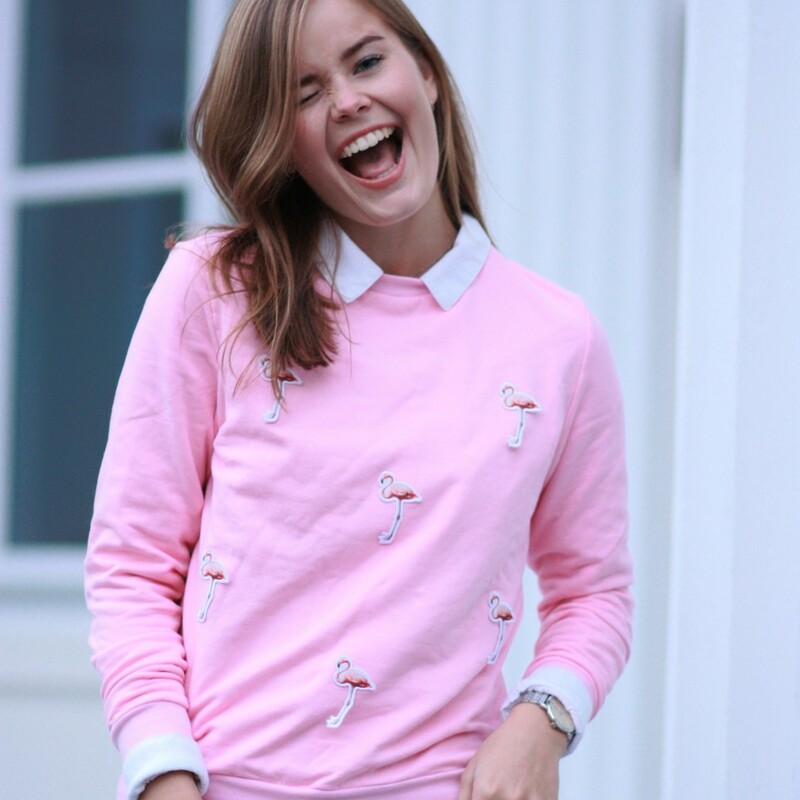 A young designer who makes the coolest sweaters with texts (here)… Also Carlala Fashion. Carla designs the prettiest Chanel inspired coats (here) and also has some beautiful hats and other items! I think that it’s a matter of time, trying different things and finding yourself.. Style is something that is already there, but it doesn’t always show too well. Give yourself time to find out who you are and what suits you. Let yourself get inspired by others, but always stay true to yourself. So, what do you think of Britt’s style? You can check out her blog at www.brittamaxime.com! Wat een leuke, nieuwe rubriek en hele mooie stijl heeft ze! Vind het bikerjasje ook echt te gek. Dankjewel Romy! Leuk om te horen! Het jasje is inderdaad heel tof!! Leuke rubriek, heel inspirerend! Mooie stijl heeft Britt!